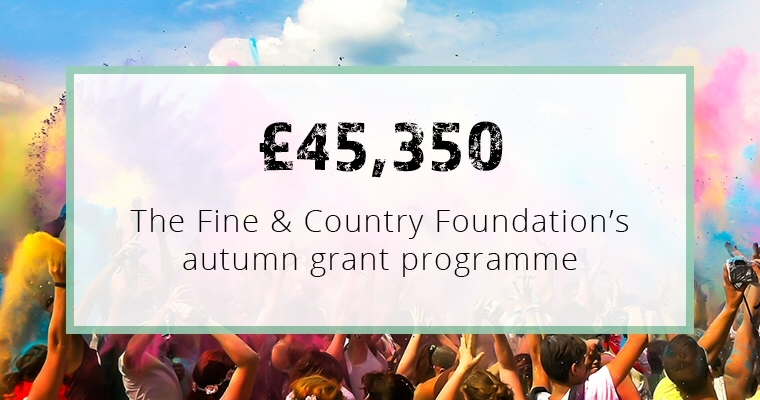 This November, the Trustees of The Fine & Country Foundation awarded 14 homeless charities in the UK and overseas with more than £45,000 of funding for projects to meet short and long-term needs for their service users. Thank you to all the charities who applied for funding. Due to high demand, we were unable to accommodate all grant requests. However, in spring we will reopen our grant programme. Stay tuned from 1st-31st March 2019 to apply for our next round of grants. Click here for more information. The Fine & Country Foundation is maintaining our partnership with ActionAid Bangladesh. Happy Home is a young girls’ home in Dhaka, Bangladesh. The home supports 150 girls aged between six and 18 years old to have an education, healthy meals and safe upbringing away from the streets. The winter night shelter supports 40-50 adult men who would otherwise be sleeping on the streets. The shelter provides practical and pastoral help between December and March for 17 people at a time. Our grant will fund some of the items necessary to run the shelter, such as: sleeping bags, pillows and cleaning supplies. Based in Chesterfield, Church on the Bus provide food, hot drinks, warm clothing and sleeping bags to address the immediate short-term needs of their clients. Together with this, the sociable and safe setting enables service users to integrate into society to support their long-term needs. Our £3,000 grant will help towards the purchase of their new bus to assist the growing numbers of people who attend. This ingenious volunteer-based charity seeks to appease the housing crisis while providing essential support for homeless people in Bristol. £3,000 funds the elements of one shipping container which is converted into a micro flat with a bedroom, kitchen, bathroom and social area for their resident for up to 12 months. Hope for Food invites 80 ladies and gentlemen who are either homeless or living in poverty in Bournemouth to attend their Christmas meal. The four-course meal is an opportunity to hand out rucksacks of toiletries, socks, gloves, chocolate and a new sleeping bag. Our grant will fund 80 pairs of new, sturdy, waterproof winter boots. Podiatry issues are especially common during the cold, wet winter months. These boots will prevent a number of back and feet problems. The Fine & Country Foundation is delighted to continue our partnership with Hope4 Rugby. Our monthly donation of £500 covers almost all of their monthly mortgage payments. Hope4 have recently expanded their centre with new meeting rooms, washing facilities and a health room with NHS nurses, narcotics professionals, and chiropractor and podiatry specialists. Justlife provide bespoke packs to each of their clients who are moving into temporary unsupported accommodation. This is an important step for clients to learn life skills required to stay off the streets for good. Each pack is tailored to their clients because every person has a unique set of requirements. For instance: alarm clocks, kettles, food, tea, coffee, toilet paper and cleaning supplies. This Bedford-based charity help more than 650 beneficiaries each year with their 18-bed night shelter, move-on housing programme, outreach services and more. Every Friday, King’s Arms host an outreach meeting and dinner. Our grant will fund 125 meals for the evening to provide a vital opportunity to introduce guests to the wider services run by the charity. The holistic approach from this Birmingham organisation provides a nightly soup kitchen, outreach teams, temporary accommodation and job opportunities. Our £3,000 grant will provide 190 sleeping bags, 10 flasks for hot drinks, 5,200 containers for hot meal deliveries and 100 nights’ worth of tea and coffee. Part of the widely renowned national network, Lincolnshire YMCA focuses on childcare and youth facilities, whilst also supporting adults who are homeless. Winter supplies are in urgent need. Our £2,475 grant will fund 23 sets of duvets pillows, pillow protectors, mattress protectors, a 10kg washing machine, a 10kg tumble dryer, 25 coats and 50 waterproof gloves. Through a combination of housing support, counselling and job opportunities, St Paul’s Hostel provide effective long-term solutions for their clients to get out of homelessness for good. The transition to Universal Credit has been a challenging process for many. The £700 grant will help towards their new Audio Visual (AV) equipment to enable digital skills education in small groups. The Forge Project works with vulnerable and homeless individuals in Scunthorpe, North Lincolnshire, to offer mental health and behavioural support, addiction and ex/offenders services and immediate provisions. Our £3,000 grant funds 50 cold weather sleeping bags, gloves, hats, 100 winter socks and 10 packs of boxer shorts. Situated in Nottingham centre, Tracy’s gives hot meals, clothes, access to housing and job opportunities to homeless and disadvantaged people on a weekly basis. Run by volunteers, the annual running costs for the entire charity are only £2,845, with an additional £200 a week for gas and food. The grant will supply trays, cutlery, cups, cleaning products, serviettes, gloves and sanitizer. YMCA Milton Keynes are undergoing a new nine storey building project for 18-35 years olds as a pathway to independence. Our £2,550 grant will furnish one room with robust, durable furniture including: a single bed with storage, mattress, cupboard, bedside table, fridge, television, chair, coffee table and roller blinds. Thank you to everyone who has contributed to our Foundation and helped us provide more than £100,000 in grants in 2018. There is still so much more to do. To get involved and help a homeless charity of your choice, please contact us on foundation@fineandcountry.com or call +44 (0)20 3368 8221. Did you miss out on our autumn grant programme? We will reopen for our spring session. Click here for more information.